The cinema is one of 21 Picturehouse theatres bought over by the silver screen giants in a move worth £47m. Aberdeen’s iconic independent cinema The Belmont Picturehouse has promised film fans it will be "business as usual" despite being bought over by film giant Cineworld. On Thursday, Cineworld announced on its Twitter page that it had bought the chain, comprising of 21 film houses across the UK for £47m. 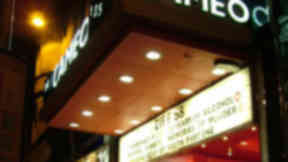 Cineworld said: "We’ve just bought Picturehouse, the leading independent cinema chain. We’ll help them grow and learn from them too." Picturehouse has promised that it will be ‘business as usual’ and that the cinemas will still be allowed to set their own ticket prices and decided what they screen. The move is said to be purely financial, and both brands aim to learn from each other, with Picturehouse stating they hope the move will allow more cinemas to be bought, with the company looking at ten potential locations from across the UK. Yet the latest news of the cinema’s future has sparked a mixed reaction from social media users, who are worried the move will spell disaster for the independent picture house, popular for showing a variety of films, hosting movie marathons and networking events for film enthusiasts. However Marketing and Events Manager of The Belmont, Dallas King wants to reassure customers that nothing will change at the popular cinema, but says he understands the public's fears. He said: "From an operational viewpoint, we have been assured that nothing will change at The Belmont. What we do won't change as the independent cinema chain was what Cineworld wanted to be a part of. We will still show a wide range of films and we won't be converting to big 3-D screens to only show blockbuster films anytime soon. "I am not surprised at the reaction to the news by our customers, but we will continue to reassure them that we will stay true to what we do." 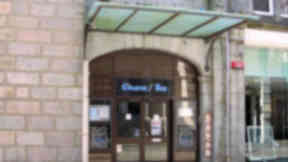 Customers fear that the city centre cinema's previous uncertain future spells disaster for The Belmont, as Aberdeen City Council, who own the building, were set to lease it out to preferred bidder Centre for the Moving Image in 2011. However, the deal fell through and campaigners were delighted that the iconic cinema would remain as part of Picturehouse brand. Over 4500 people had signed a petition demanding the council save the independent cinema from shutting down. Following the announcement of the takeover on The Belmont Picturehouse Facebook page, customers took to the site to voice their opinions on the move. Ashleigh Cook said: "Hmm. I am pleased that your future is intact now. But Cineworld? I really hope the service, facilities, films and other aspects of the Belmont remain. Please say the £1 membership price in a morning will remain? As well as your quirky film offerings. I don't go to Cineworld for a good reason, to support you. Now, I have no option but to support them. Still. The Belmont lives on!" 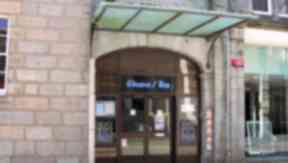 Iain Kay commented on the atmosphere of the filmhouse, adding: "Mixed feelings. I have an unlimited card but still visit the Belmont for the smaller films and (at the risk of sounding a bit snobby) a slightly better behaved audience and better atmosphere. Hopefully that won't change." The cinema itself responded to the comments, adding: "The Belmont won't change - it will still look the same and the experience of visiting us will be the same. What it does mean is we'll have new investment, so that we can do more of what we already do and love, so we think its good news." However, customer Kevin Hume warned the move could spell disaster, commenting: "My mind wanders to every small company bought by a bigger one who was originally told this, then a few years down the line it all goes wrong." Lyn Goleby, managing director at Picturehouse, said: "The Picturehouse cinemas, and all that we stand for, will remain as before and will operate as a standalone division of Cineworld. "Everyone recognises that the success of this change depends on the unique nature of the Picturehouse cinemas being protected; the programming policy will not change, the membership schemes will remain in place and the independent identity of the cinemas will be protected. "The existing management teams are all staying in their current roles and will continue to ensure that ‘business as usual’ is maintained." The Belmont opened as the Coliseum Cinema in 1910 before changing to the New Kinema in 1921. In 1935 it was renamed the Belmont before closing in 1952 and becoming a warehouse. In 2000 it reopened as a cinema. Picturehouse have a ten-year lease on the cinema, which is owned by Aberdeen Council.